Rooms: 14, Small and intimate hotel, Typical cycladic architecture, swimming pool, Outdoor Jacuzzi, Ideal for couples and families. 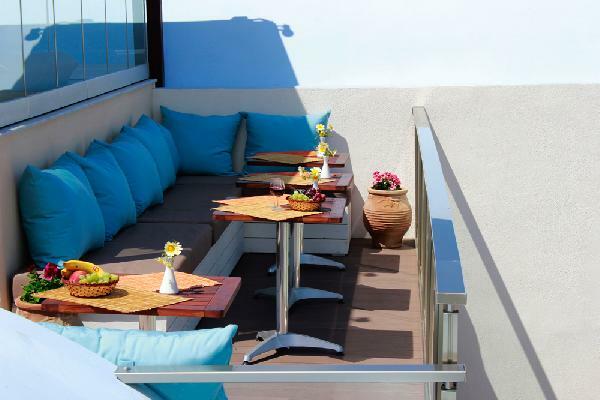 Amerisa Suites is a small and refined hotel featuring typical Aegean architecture; located in captivating and unforgettable scenery on the east side of the Santorini's capital, Fira. Far from being an impersonal hotel, the establishment is more akin to a beautiful private home. The atmosphere achieved by the bright whitewashed walls, subtle arches, pastel coloured furniture, cut stone and dark wooden balconies is extremely intimate and relaxing. This inherent harmony with Santorini's natural beauty means that the Amerisa is more than just a place to sleep, rather it is an invitation to dream... The enchanting natural beauty and the prominent Aegean architecture, coupled with the exquisite hospitality and luxurious accommodation guarantee relaxing and bewitching vacations. In this calming setting guests can enjoy the breathtaking view and the sunrise from the panoramic veranda (perfect for breakfast) whilst sipping a cool glass of white wine by the heated swimming pool. There are only 14 intimate accommodations on offer, 10 rooms and 4 suites, each featuring the natural elegance and minimalism that the Aegean region is famed for, all including with state of the art facilities. There are TV and DVD installations in all Suites, a telescope at the guests disposal and 24 hour free cable internet access. The hotel also has a heated swimming pool and an open-air Jacuzzi, to guarantee a relaxing and bewitching vacation in the backdrop of Santorini's famed natural beauty. Amerisa Suites is 600m from the stunning cliff-perched town of Fira and a short walk to the Lignos Folklore Museum. The stunning volcanic Caldera within 500m and the beach within 3.5km. 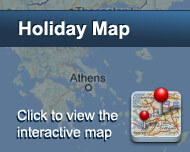 Thira Airport and Athinios Port are located 7 and 10 kilometres away respectively. Just above Fira at the highest point of the island is the quintessentially Santorinian town of Oia, with its whitewashed walls sunk into the volcanic rock and its blue domes rising above the beauty of the stunning Ammoudi Bay. Santorini's sunsets, as viewed from Oia, are reputed to be among the world's most beautiful. Είστε ιδιοκτήτης ή διευθυντής στο AMERISA SUITES; Εγγραφείτε τώρα για δωρεάν εργαλεία, που μπορείτε να χρησιμοποιήσετε για να βελτιώσετε την καταχώρησή σας και να συνδέσετε την ιστοσελίδα σας και το σύστημα κρατήσεών σας.